New Delhi, India, December 9, 2016	(Newswire.com) - EZ Rankings brings some great news for client across the globe! As one of the pioneering digital marketing company in India, EZ Rankings has come up with exciting discounts for our customers. From Pay-per-click and social media optimization to SEO and Web designing, clients can have 10% discount on a range of services. As leaders in the online marketing arena, EZ Rankings knows what is effective, and targeted marketing can do to a business. The best marketing efforts not only promote a brand in the professional market but also unlock several business opportunities. Business owners get the chance to realize their individuality and uniqueness, thus delivering best performances. It is right here that EZ Rankings steps into the picture. Optimum client satisfaction is all that EZ Rankings wishes to achieve, and that’s the reason to offer lucrative discounts. With a team of highly dedicated and efficient professionals, EZ Rankings can identify clients’ needs. Service discounts during the festive season will ensure numerous benefits for businesses. EZ Rankings strives hard to make clients happy across 15+ countries. Highly skilled experts will make sure clients achieve optimum satisfaction. With 7+ years of experience in the digital marketplace, EZ Rankings knows the significance of acknowledging clients, their support, and patronage. In a world where consumers are integral parts of the sales cycle and business process, building robust customer-relationships turns out to be the need of the hour. 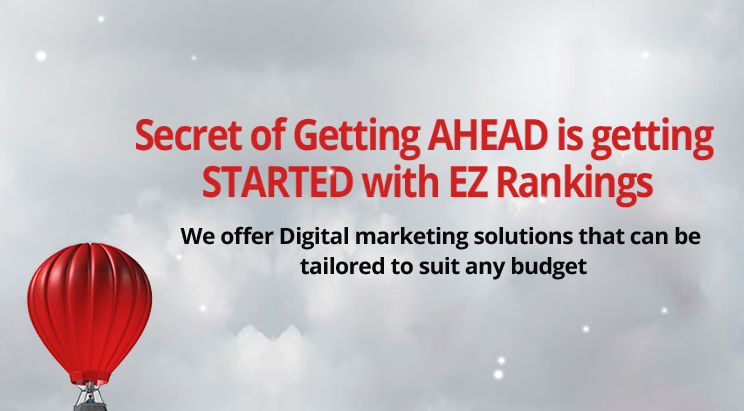 As the reputed and reliable digital marketers in India, EZ Rankings is highly confident about its propositions, principles, and promises. Whether opting for PPC campaigns, SMO strategies, SEO services, or web design and development, EZ Rankigns offers custom packages and customized solutions. EZ Rankings knows how every business is different from the other. Quite naturally, each one of them should receive targeted, specific, and distinctive marketing. Being the frontrunners in digital marketing and web design creation; EZ Rankings aims at providing holistic solutions to clients. Service discounts or holiday ‘cheers’ will surely lead to fruitful and innovative brand promotions. With the right partners assessing every single detail of your project, one will undoubtedly have unparalleled business marketing experiences. As a pioneering, ISO Certified and Google Partner digital marketing company in India, EZ Rankings can revolutionize business marketing to a great extent. From PPC marketing, SEO, SMO to web designing, social media marketing, and online reputation management, EZ Rankings offers a multitude of services to clients. For more information on holiday discounts, please visit the official website at www.ezrankings.org. Company: EZ Rankings IT Services Pvt. Ltd.